Gretchen Rubin, the author of the highly successful book “The Happiness Project”, spent a year trying to figure out what made her happy. One of her conclusions was that following her passions instead of curbing her impulses to be creative brought her much closer to that elusive goal. In order to do that she designed several ways to help spark her creativity on a regular basis. They include taking notes and making random lists, poking around the Internet and visiting strange locations that seem to attract her. You can spark your own creativity by trying out some of her ideas or maybe some of these five other ways to get your imagination and creativity flowing. We’ve all been part of brainstorming sessions at work as part of some team building exercise. That’s when you all throw out ideas and don’t judge or criticize them but come up with as many suggestions as you can. Why not try it just by yourself? Find a quiet corner or boardroom and get a large piece of craft paper and writing down a few questions or problems that are going on at work. Then write down any ideas that come to you. Don’t try and judge them and see what happens. You just might find that answer you were looking for and you will feel your creativity just come right out of your head onto the paper. There are thousands of success stories out there that you can read about. There have been books written by and about many creative geniuses from Leonardo Da Vinci to Thomas Edison to Steve Jobs. You can read about how they came up with their ideas and how they allowed their creativity to grow flourish. For example Da Vinci believed that everything was somehow connected and he used his creativity to connect up his interest in such diverse areas as astronomy, art and mathematics. He also had specific techniques like starting into the ashes of the fireplace for inspiration for his art. You don’t have to do that but reading about it might help spark your creativity. Sometimes all you might need to spark your creativity is a little peace and quiet to think. The good news is that you can think almost anywhere and at any time. At work trying closing your door (if you have one) or finding a quiet place to sit and allow your imagination and creativity to come to the forefront of your mind. But you can also think on the bus or the train or in your car. Don’t daydream on the freeway but you can put on some music that inspires you or that can calm your mind and within the solitude of your car or beneath your headphones you can feel the creative juices start to flow. Right afterwards take ten minutes and jot down your thoughts. Then build on these thoughts later to keep the creativity going. Working hard is great but sometimes it’s a little better to work less and play a little more. Think about the joy and freedom you felt when you were a kid just kicking around a soccer ball or playing hide and seek with your friends. At those times you weren’t worried about the outcome or who was winning, you were just being your authentic self and having fun. You were also likely at your highest creative level possible. Play can release you from the burdens of work, improve your motivation and well-being and recharge not only your creativity. All work and no play made Jane a dull girl. Playing made her brighter and more creative. And a lot more fun to be around at work. One of the absolute best ways to reignite your low creativity flame is by travelling to another city or country. It gets you out of the rut of routine and allow you to see the world in a different light. Try some new foods and even try speaking a few words of a new language. Change is the fluid that lubricates our imagination and creativity. But if you can’t travel right now then do your research and start planning to travel to somewhere new. Just by reading about it you will start to feel a little different and if you make a plan to travel as soon as you can you will not only have something to look forward to, you will also start thinking a little different about how you are doing things right now. Travel if you can and plan to travel if you can’t. Either way your imagination will be inspired and your creativity will receive a much needed spark. 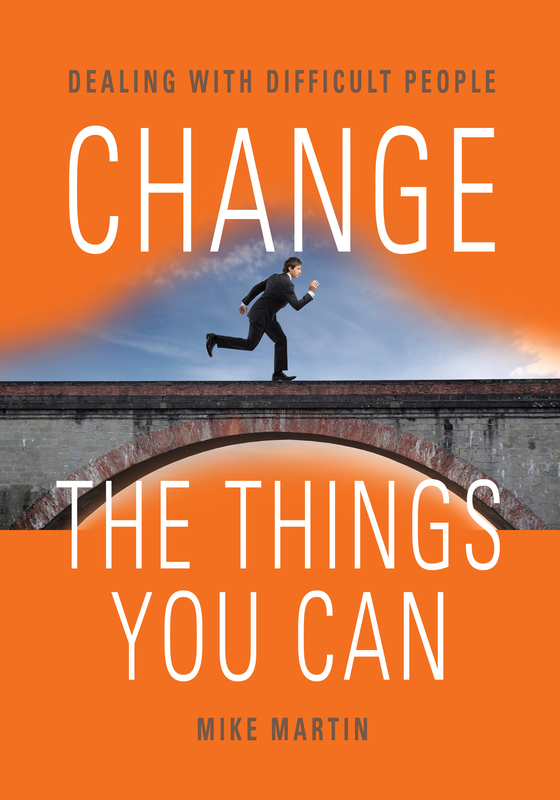 Mike Martin is a writer and the author of Change the Things You Can: Dealing with Difficult People. This entry was posted in Uncategorized and tagged change the things you can, creativity, difficult people, mike martin, mystery, Sgt Windflower, sparking creativity, windflower mysteries, workplace wellness. Bookmark the permalink.